Avoid Aggressive Cultivation Until Mid-April. The warm weather has many of us excited to start improving on our home landscapes. Many tasks and projects can be completed this time of year. However, be careful with aggressive lawn cultivation such as dethatching and aerating. While the soils are warming, the plants are still dehydrated and fragile. Let the plants rehydrate and begin to actively regrow before starting aggressive management practices. 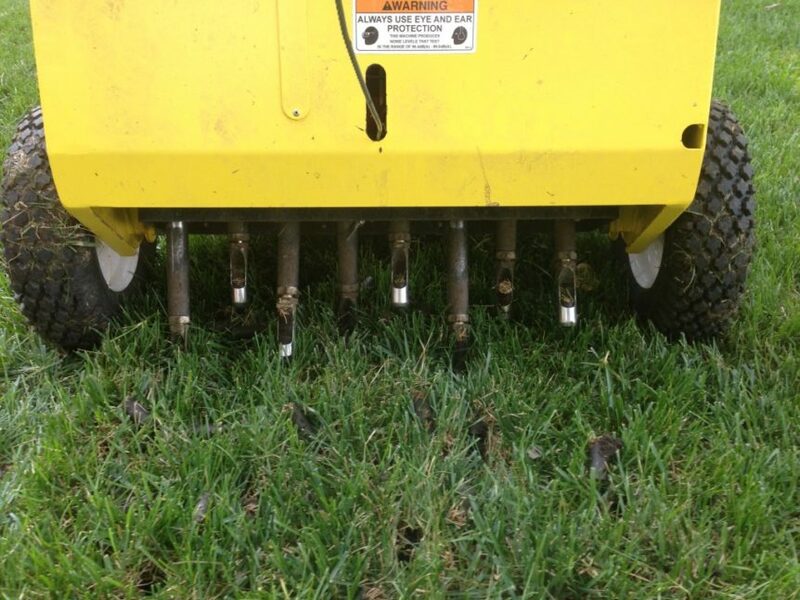 The grass will quickly recover from dethatching and aeration once it beings to grow in early to mid-April . Use this great weather to get caught up on other outdoor projects. Be patient, you’ll be baling hay from your lawn soon. Hold off on any aggressive lawn maintenance, such as aeration, until the turf starts actively growing.